Several Nye County schools in the southern attendance area were put on lockdown Monday morning after a wanted felon was spotted at an elementary school by a Nye County Sheriff’s deputy. 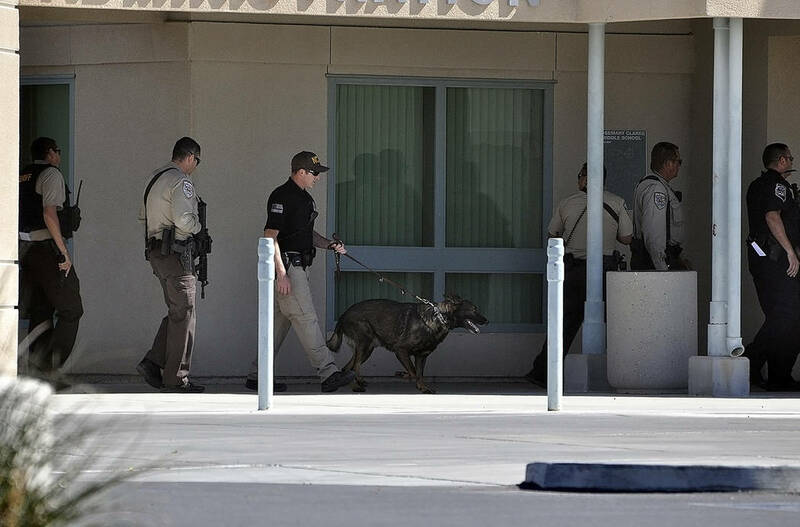 Horace Langford Jr./Pahrump Valley Times Nye County Sheriff’s deputies armed with rifles and a K-9, prepare to search Rosemary Clarke Middle School in search of wanted suspect Duane Johnson, whose criminal history includes domestic battery and drug trafficking. Selwyn Harris/Pahrump Valley Times The mother of a Manse Elementary School students anguishes as sheriff’s deputies search the campus for wanted felon Duane Johnson. Mother and child were eventually reunited. Scores of parents line Blagg Road as sheriff’s deputies search Rosemary Clarke Middle School for a wanted suspect. School officials released students to their parents after the threat was determined to be unfounded. During that time, several reports of an individual possessing a gun were received by Nye County dispatchers, prompting a lockdown of the campuses. The initial incident occurred just after 9 a.m. at Manse Elementary School, located at 4881 Lola Lane, according to a sheriff’s office press release. The suspect was identified as Duane Johnson, who authorities said has a violent past. While performing a search of the campus for Johnson, the Nye County Sheriff’s Office dispatch received a report of a man with a gun at Floyd Elementary School, just after 10 a.m.
Sheriff’s deputies responded and cleared the school, as the report was deemed false. During the two searches, the Nye County Sheriff’s Office received a report of a man with a gun at Rosemary Clarke Middle School, where deputies responded and cleared the school as that report was also deemed false. Additionally, local officials said individuals on social media exascerbated the situation by spreading mistruths and false information regarding the day-long ordeal. 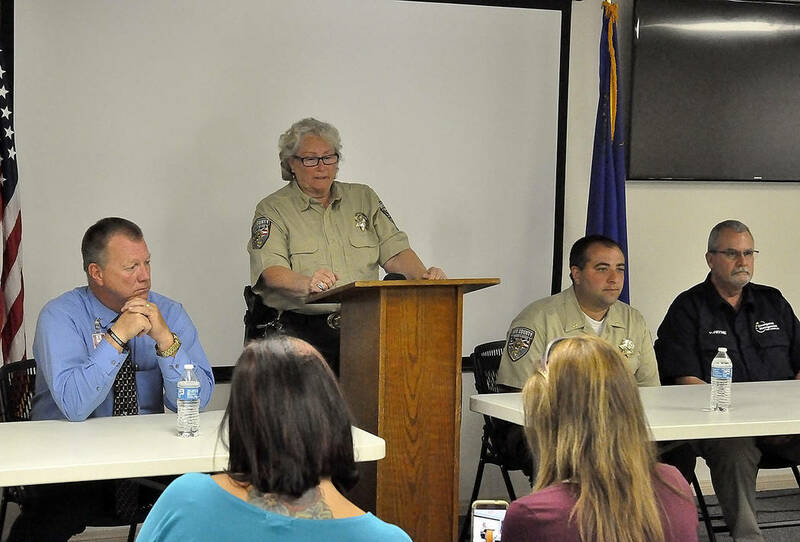 As a result, a joint press conference was scheduled Monday afternoon, where Nye County Sheriff Sharon Wehrly sought to lay out the facts to Pahrump media outlets. Wehrly began with the Manse Elementary School incident, where she said the wanted suspect was dropping off a child at the campus, where a deputy was also stationed. Wehrly also said that in the meantime, Desert View Hospital was contacted, where officials performed a “soft shutdown” while preparing for the worst. Additionally, all Nye County and town of Pahrump government offices were closed as precautionary measures, as was the courthouse on Basin Avenue. 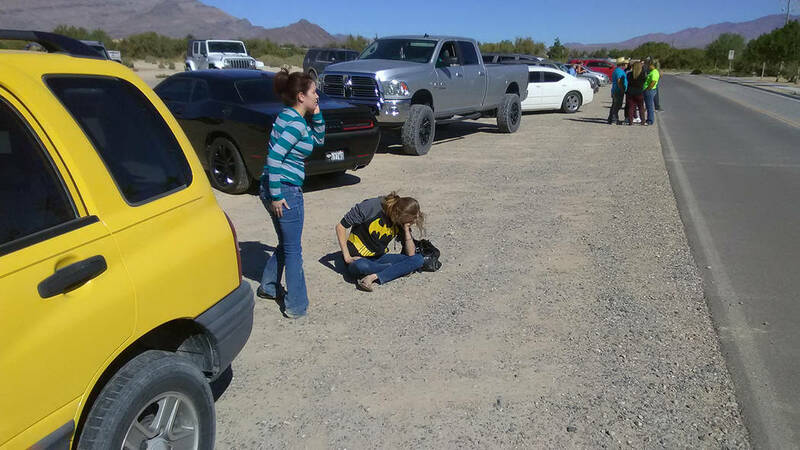 Pahrump resident Marcie Tillery nervously waited across the street from Rosemary Clarke Middle School as deputies searched the classrooms. She and additional family members have children attending several schools in town. Pahrump resident Raymond Jagt has two childrenn enrolled at Manse Elementary. He was one of more than a dozen parents waiting across the street for information from the sheriff’s office. Nye County Sheriff’s Office Lieutenant David Boruchowitz spoke of the joint efforts between all area agencies involved on Monday. Nye County School District Superintendent Dale Norton also praised the efforts of the local agencies. 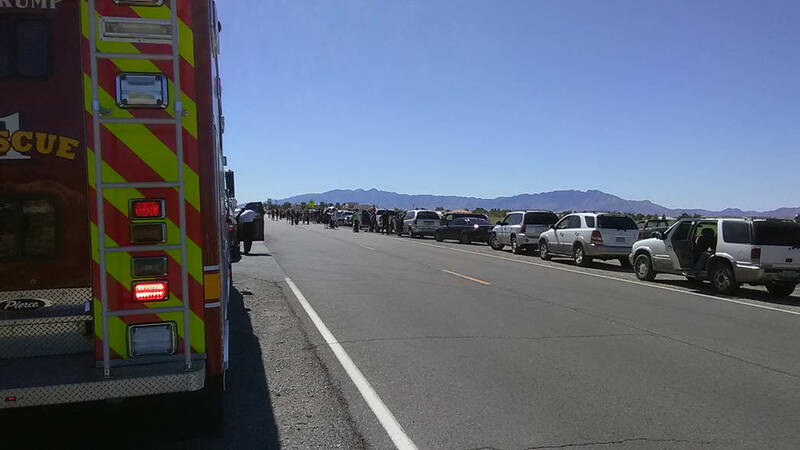 Aside from the local agencies involved, including Pahrump Valley Fire and Rescue Services, Wehrly said even state agencies offered their respective services. The sheriff’s office is still seeking information on the whereabouts of Duane Johnson. Anyone with information on his whereabouts is urged to call 775-751-7000, without making contact with Johnson.